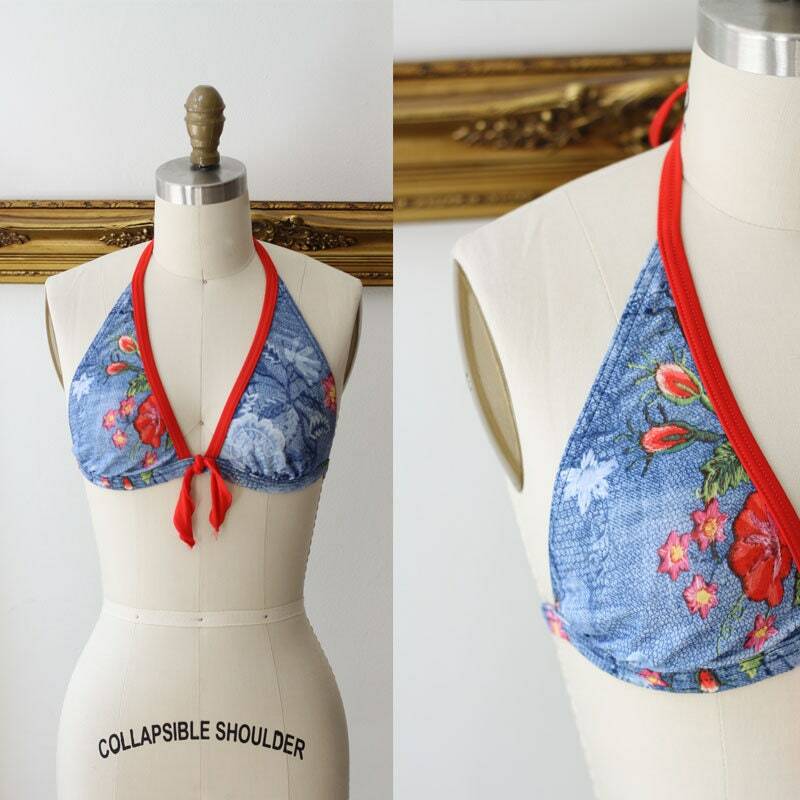 Super fun 1970s bikini top with denim and red floral print fabric throughout. 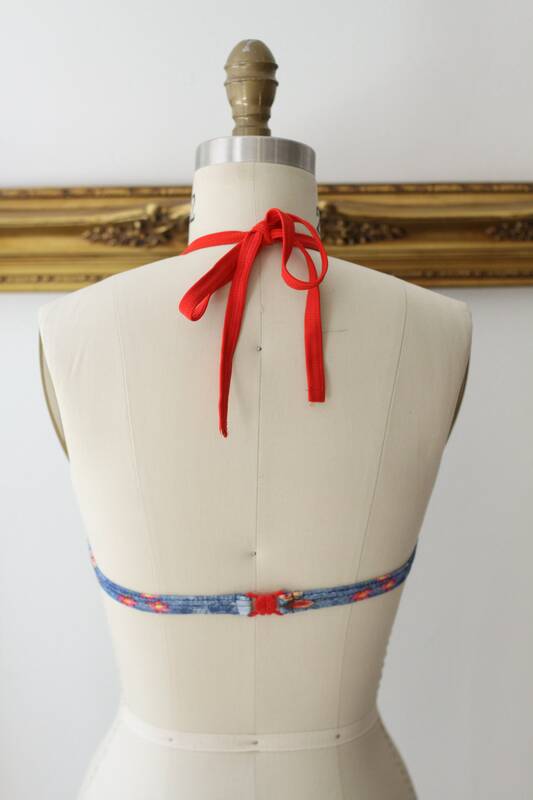 Adjustable tie around the neck and a plastic clip at the back of the top. 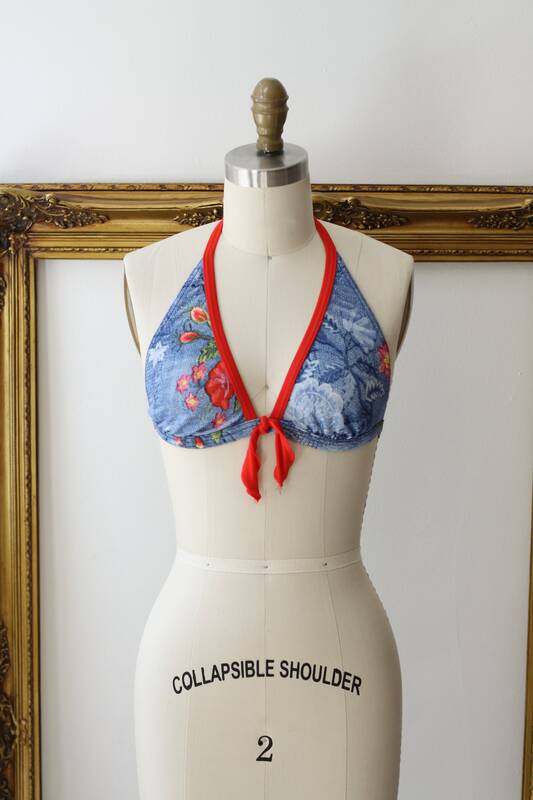 No cups or structure within the bikini top. 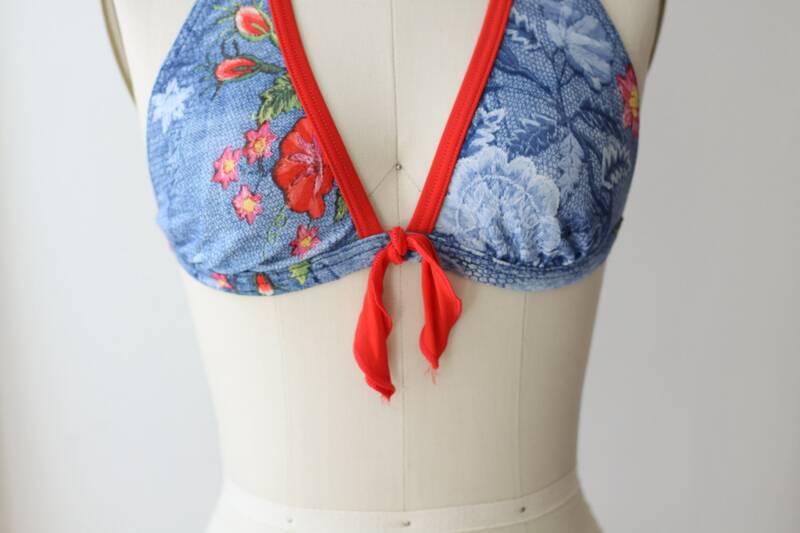 Could be worn as a bandeau as well.